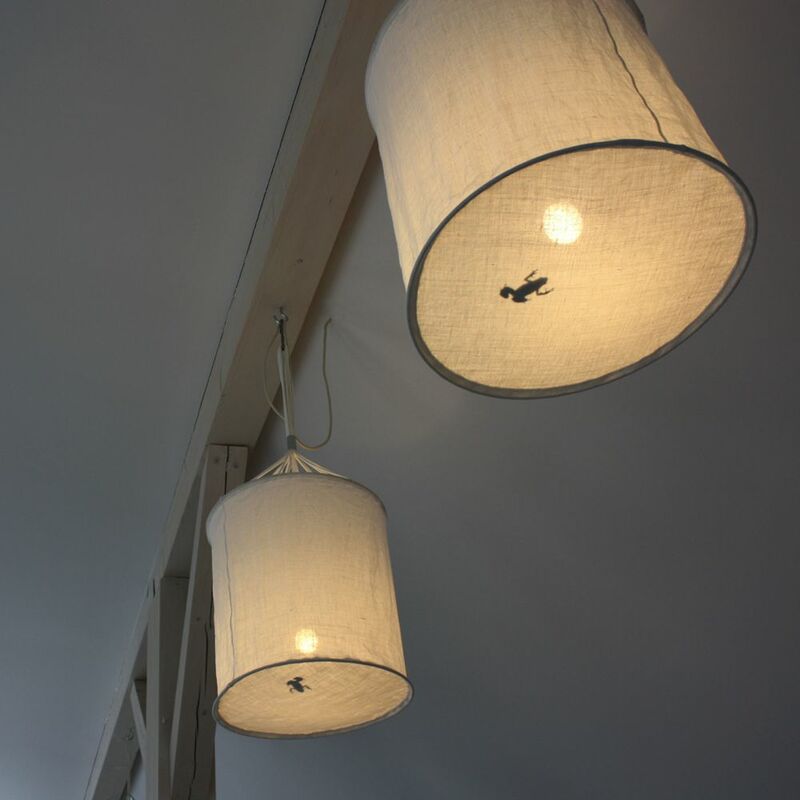 HANDMADE These drum shades are made in our workshop of thick linen canvas sourced from an austrian weaver. They are suspended on cotton rope with aluminium details. SIMPLE This large, lightweight lampshade can be flat packed. It requires a ceiling hook for installation and works with an existing pendant light fitting with a minimum drop of 1,10 meter. SILHOUETTE The base holds the loose silhouette of a little frog.